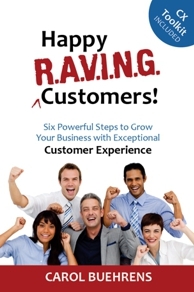 Great customer experiences come from companies where fantastic customer service is paramount. Yet, customer experience and customer service are two totally different disciplines. Do you know what the difference is? Many people, in hearing the term “Customer Experience”, assume it is just a different term for Customer Service. But, it is so much more. While successful customer experience companies certainly have excellence in customer service at their core, customer service is most likely a fraction of your customer’s total experiences with your company. (Unless, of course, customer service is the only product you offer, in which case it would be a majority.) In other words, customer service is one of many offerings that your customers experience, in a long chain of experiences, with your company. In fact, customer service may be what you provide to help ease the pain of an otherwise poor customer experience! The reality is that, in many cases, your customer may not even experience customer service at all if everything goes right! In my book, Happy R.A.V.I.N.G. Customers!, you’ll learn about to elevate the experiences your customers are having with your company. “Chapter 7. N = Note Success” draws a direct line to rewarding employees for doing the right thing – raising the customer service standards and acting on behalf of your customers. Buy it now on Amazon amzn.com/099102740X. So true Carol! Thanks for helping our team understand and embrace what it means to provide an experience that our customers can rave about.